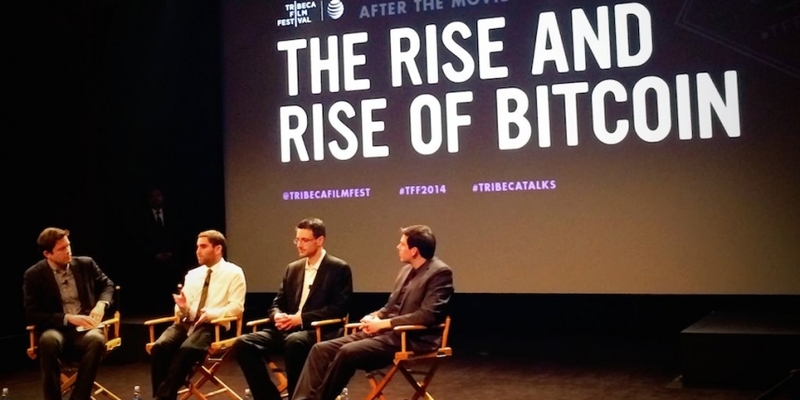 The hotly anticipated film ‘The Rise and Rise of Bitcoin’ premiered last night (23rd April) at the Tribeca Film Festival in New York. The documentary, directed by Nicholas Mross, follows his brother, software developer and former bitcoin miner Daniel Mross, as he traces the short but momentous history of bitcoin, traveling everywhere from Tokyo to Seattle to Panama to speak with the industry’s pioneers. 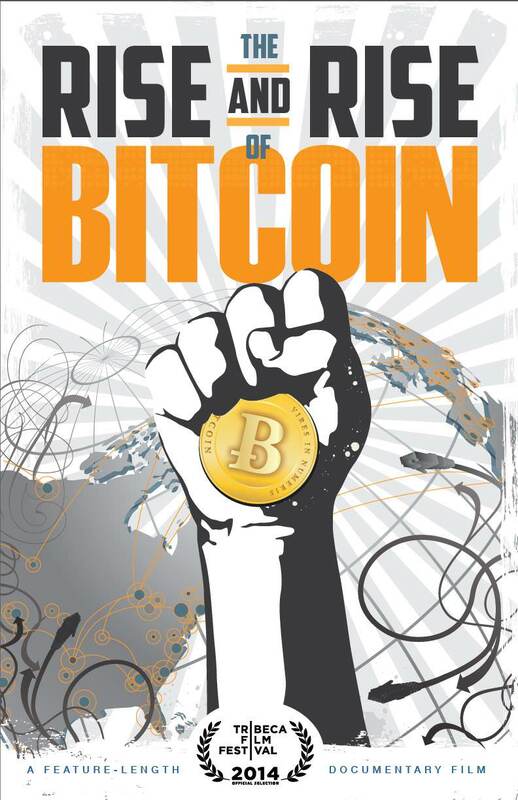 The film covers all of bitcoin’s high-profile twists and turns since 2011, when Daniel first became involved with the community. Many at the screening were bitcoiners, but the events portrayed were such that more mainstream viewers would have been familiar with most of the content. The movie begins with its underpinning – mining – describing in most basic terms how bitcoins are released and circulated; and ends with Newsweek’s controversial exposé on Dorian Prentice Satoshi Nakamoto, the man they likely falsely identified as the creator of the Bitcoin protocol. The narrative grows slowly, and then suddenly and tremendously, in a way that reflects the real-world rise of the bitcoin phenomenon. In the demonstrably pro-bitcoin production, price volatility, the failure of Mt Gox, bitcoin’s connection to digital black market Silk Road and the arrest of former BitInstant CEO and Bitcoin Foundation vice chairman Charlie Shrem are presented as events of little consequence to the bigger picture; events that many bitcoiners believed to be necessary for the technology and currency to mature. More important are the smaller and increasingly frequent events that lead to wider bitcoin adoption – businesses beginning to accept bitcoin and regulators becoming open to learning about it. Daniel added that he thinks these uncertainties are actually opportunities for a lot of startups and existing businesses. These opportunities are not without complications, though. For example, bitcoin has such a vast range of uses and it is increasing in popularity. For the bitcoin rookie, the film gives a sufficient introduction to its role in technology, business and finance. While the technology may be alive and well, regulators will likely debate bitcoin as a currency for some time if it wants to gain wider adoption. But, the film emphasizes that the regulatory battles will play out as feats in the greater endeavor to make Main Street comfortable with bitcoin, and that regulatory setbacks and scandals tied to shady players like Mt Gox and Silk Road shouldn’t blind anyone to the advantages, potential and fundamentals of the technology. Daniel said in the panel following: “We wanted to stress, too, that bitcoin is a piece of software and it’s public domain. So anything that you tie to it, any externalities, don’t actually have to do with it. Among the more prominent members of the cast are Shrem; CEO of former exchange TradeHill Jered Kenna; developer Gavin Andresen; bitcoin evangelist and Coinapult co-founder Erik Voorhees; Mt Gox CEO Mark Karpeles; and bitcoin angel investor and evangelist Roger Ver. Additional appearances are made by Yifu Guo, Cameron and Tyler Winklevoss, Ryan Singer, Brian Armstrong, Fred Ehrsam, Tony Gallippi, Stephen Pair and Vitalik Buterin. The panel following the show included Shrem and the Mross brothers, and was moderated by New York Times financial markets reporter Nathaniel Popper. The evening seemed as much an entrance for bitcoin as it was for Shrem, who has been held under house arrest since January. He was given temporary reprieve to attend the screening.